Located in the town of Domloup, near Rennes in France, the Madiba residence is recognisable from afar thanks to its long shiny steel balconies running along the façades. They were entirely built with Littoral® and ST Lumiere Kristal®* steel sheets provided by ArcelorMittal Construction, giving the building a luminous modern look. Built in the urbanisation area located on the Eastern part of the town, the Madiba residence is composed of two public housing buildings featuring a mixture of materials perfectly integrated in the environment. The whole residence is surrounded by stone blocks and walls, the buildings are made of concrete and the balconies are bordered with a steel structure made from ArcelorMittal steel, giving a contemporary look to the ensemble. The architect specifically wanted to use steel for the façade but was searching for something shinier and more eye-catching and modern-looking than just regular steel. 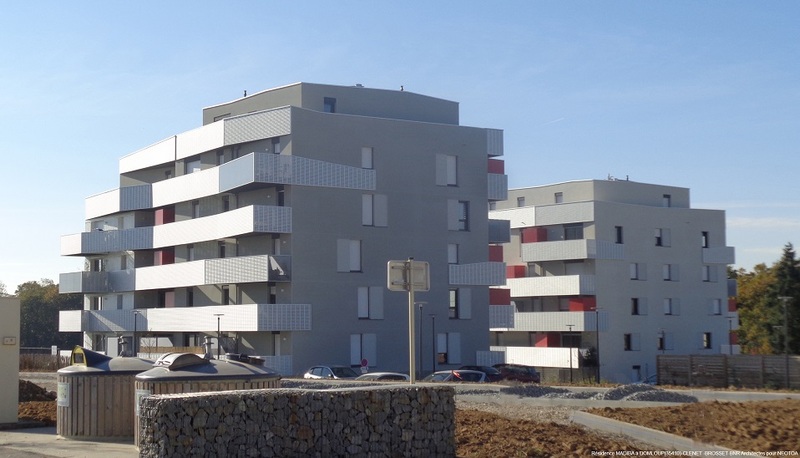 The solution to his requirements was ArcelorMittal Construction’s ST Lumiere and Littoral® panels produced in Cerons. These are both relief patterned steel sheets which give a structure effect to the façades. Littoral® panels are coated with Hairplus® in the shade Opale, an off-white colour. ST Lumiere perforated panels are coated with Kristal®, giving a shiny appearance close to aluminium or stainless steel, which definitely seduced the architect. The panels are coated on both faces which makes them more durable. 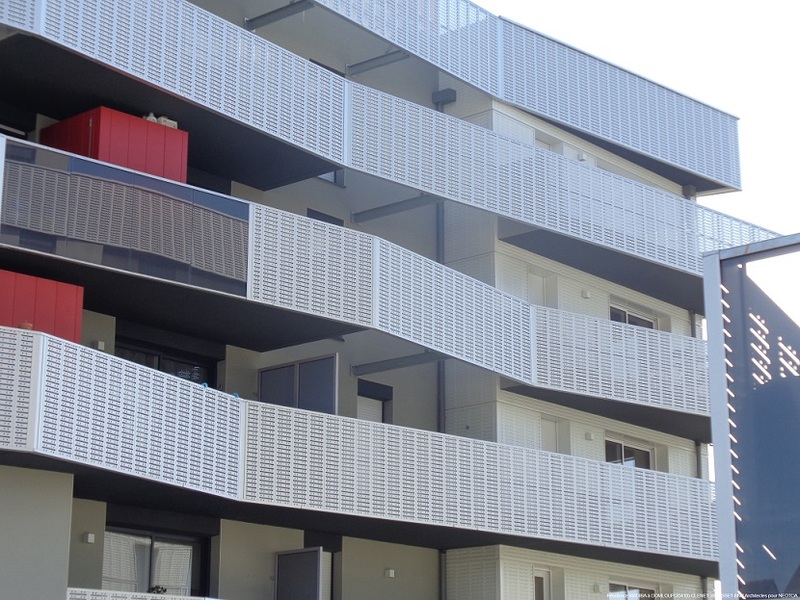 Moreover, the perforations ensure transparency while preserving the privacy of the residents. Everything in the design of the Madiba residence is made to catch the light and give relief to the façades. Thanks to the mix of textures (plain and perforated panels) and of colours (white and silver) provided by our products, ArcelorMittal Construction was a great support in giving life to the architect’s concept.